Now Due Dec 1st! - Soft Cover - All Color! 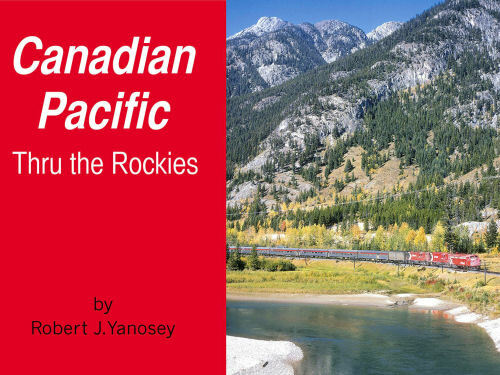 The CP's route between Calgary - Vancouver is explored, highlighting the "Banff-Lake Louise Route" through the Rockies. Emphasizing the final years of CP passenger service, it features early '52 steam and the first years of VIA Rail. Soft cover.